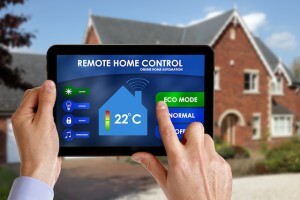 Are You Smarter than a Smart Home? Walk into any Lowes or Home Depot today, and you may be startled by what you see. With technological innovations occurring at the speed of light, it can be difficult for real estate agents and their clients to keep up. It can be even more baffling, however, when the technology becomes seamlessly incorporated into a traditional home. The recent Consumers Electronics Show in Las Vegas showcased the usual newest in toys and electronics. Some of the notable standouts, however, were the Smart Home Systems. With the invasion of habit-learning and communicating technologies into the traditional home, it leads to a question for you: are you smarter than a smart home? 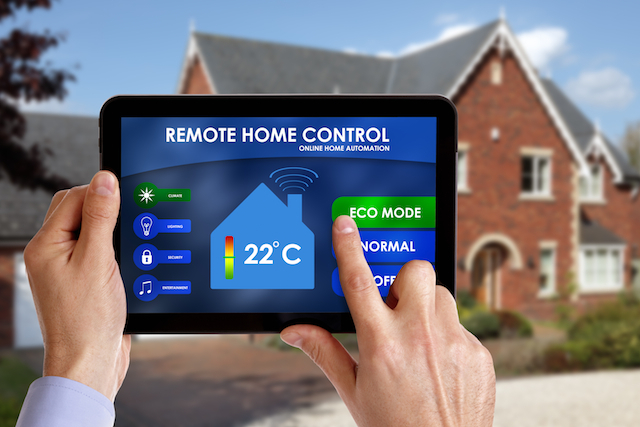 Smart home systems and devices span a myriad of areas of the home. You can find these technological wonders in: home theaters/media rooms, audio distribution, internal data networks, lighting controls, phone systems, security and surveillance systems and home automation. I’ve previously talked about Nest, which started out with a “smart” thermostat and have recently branched out to selling “smart” smoke detectors (and being bought by Google!). Withings also makes a plethora of “smart” products, including the Aura, which monitors your sleep patterns and accordingly adjusts light and noise within the room. Trying to understand how to change a thermostat, especially in an empty house, or showcasing it for your real estate clients could prove a challenge. However, most of these products aren’t necessarily considered fixtures of a house, and therefore could be removed by an owner prior to putting the house up for sale. What if the “smart” products were more integrated? Alarm.com has flexible alarm systems that connect everything together – including thermostats and window shades. Alarm.com also has systems that can measure energy use and help with energy efficiency. Would you know how to operate that? What about a “smart” lock? The Kevo Bluetooth door lock from Kwikset unlocks with a smartphone or fob, and is master-controlled from a downloadable app. Could this be the future of real estate above and beyond lockbox keys? Finally, would you know how to handle a fully-integrated “smart” system? At CES 2014, Lowes showcased their Iris Smart Home Management System. With a monthly fee and a few start-up kits, Iris allows you to customize and monitor your smart home system from a smartphone or tablet, including controlling lights, temperature, security systems and door locks. In conjunction with Ivee, a Wi-Fi voice-activated assistant, Iris can take care of some of the most simple, everyday actions in a homeowner’s life. So, are you smarter than a smart home? Or are you going to need further instruction as more of these get bought and included in the homes for sale in your area? If you’re not familiar with these devices, it might be best to at least get basic instruction or understanding of how they work. You will also want to start finding home inspectors that are familiar with these devices and systems, to make sure your clients are fully protected when it comes time for a home inspection and walk-through. Technological innovation will move on with or without you – keep up and stay smart!